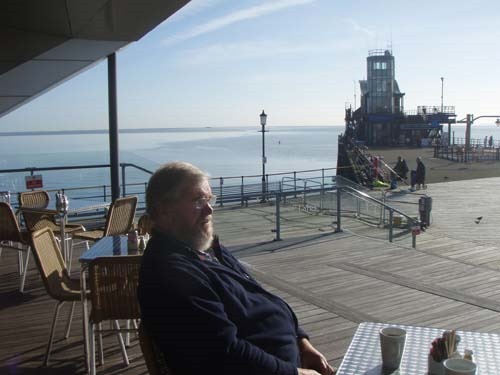 David and I have very different memories of our visit to Southend Pier (above) in late October. He thoroughly enjoyed the wide open space at the Pier Head where it was so easy to walk around and take in the views of the Thames estuary. 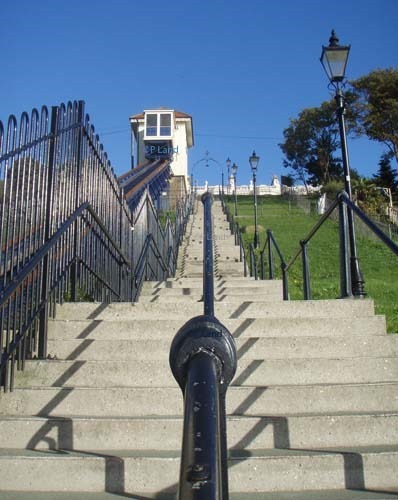 At 1.34 miles (2.16km) in length it is the longest pleasure pier in the world and there is a small railway running along most of it. 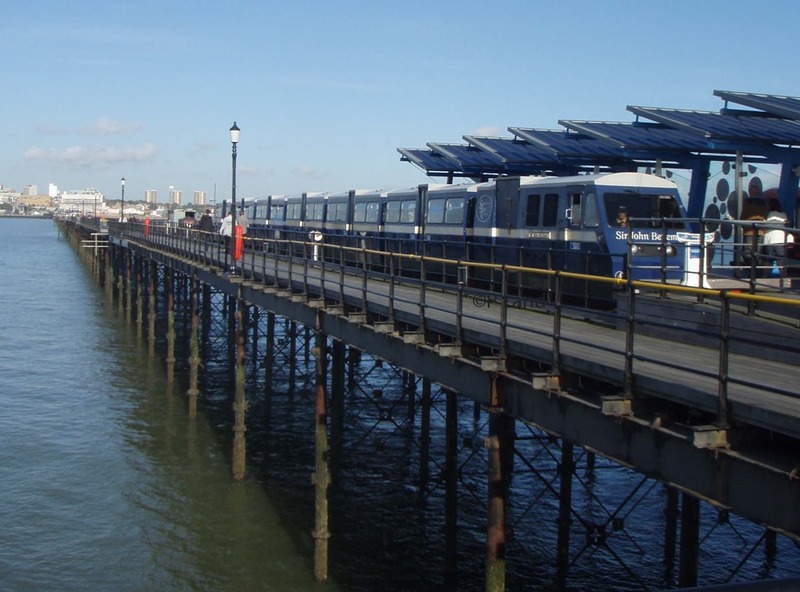 “I love the little train and they’ve made a good job of the end of the pier. It was convenient, comfortable and pleasant. It was great – I loved it. 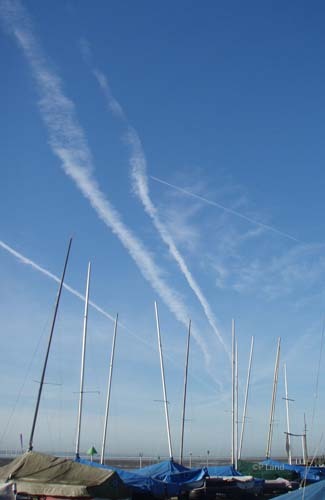 And the weather was great,” David said. There was a warm welcome at the café and at the RNLI lifeboat station gift shop. The station was interesting as two of the lifeboats based at Southend can be viewed there and there is a small pictorial archive of information about it. The other two lifeboats, including a small hovercraft, are housed at the shore-end of the pier. But for me there was a deep sense of loss. Where had the old pub, cafés and amusements gone which had been so much part of the East End of London working class culture? Who had “gentrified” the pier? Back on shore we were sad that we were too late in the season for a ride on the counter-balanced funicular railway (above right) but decided not to experience the modern lift into the shopping mall. Instead David opted to visit the Sea Life Adventure centre. “It was fascinating to see tropical fish in their own environment but some of the bigger fish were obviously uncomfortable, swimming around the edges as they do,” David commented. On that trip to Essex we also visited the “secret” nuclear bunker at Kelvedon Hatch near Brentwood. This underground labyrinth with its 10ft thick reinforced concrete shell and massive 1.5 tonne blast doors provided an intriguing insight into the mentality of the cold war. There are three levels: the ground floor for communications and also the plant room from where recycled breathable air would have been circulated ; the second as a regional or government headquarters; and at the top the dormitories, a small surgery, washrooms and a large canteen. On view in the bunker were old black and white television documentaries which reminded us of government warnings on how to prepare for a nuclear attack. But then how many could have afforded to have built nuclear shelters inside their homes or stocked up with so much food and water? Instead we just got on with life and hoped for the best!